This should be used before you use your second cleanser. It is a fantastic 1st cleanse because oil attracts oil. That is how cleansers work. It takes away all the environmental junk and let's your second cleanser get deeper to clean out your pores more efficiently. It is also a really great makeup remover and eye makeup remover! 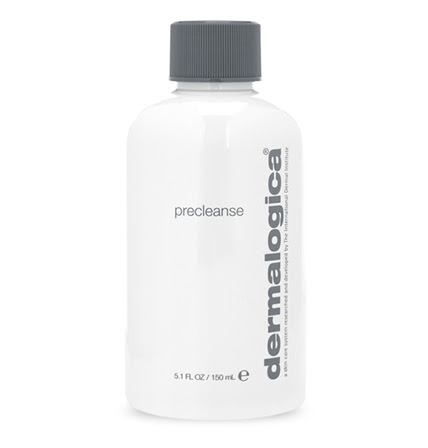 Perfect for all skin types, this cleansing gel is the best way to get a deep cleanse after the Precleanse is complete. Easy to apply gel cleanser that foams, it does the job super effectively! I am a huge fan of the Dermalogica line for a few reasons. The first is that it was started by an Esthetician who came here from Britain to teach us Americans some of the things we were missing in our education. Her name is Jane Wurwand and she is amazing. She founded a school called The International Demal Institute and it is a fantastic place for Estees to go continue their education! So she understands what the skin needs and what products best benefit it. Dermalogica is the product line she founded because she noticed we only really had products that had pretty packaging but not many health benefits for the skin. This line is very clean (pun intended). The packaging is minimal so that the money you are spending is on ingredients. It is fragrance and color free so those with sensitive skin have something to turn to. It really is a great product line. I highly recommend it! I give these two products 5 lipsticks!